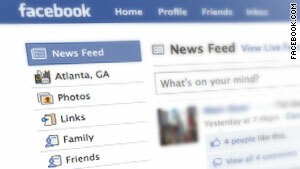 About half of parents "friend" their kids on the social networking site Facebook, according to a 1,000 person survey. (Ars Technica) -- A question for those of you who maintain Facebook or other social networking accounts: how many of you friend your parents? How many of you would friend your parents if you were still a teenager? I'm friends with my mom on Facebook, but I can't say for certain whether I would if I were 16. According to a new survey by Retrevo, almost half of parents say that they're friends with their teenagers on social networks. Retrevo surveyed more than 1,000 adults in the US and found that parents not only want to learn more about their kids through technology, they also have solid opinions on how their kids should use it. Even though parents aren't always as savvy as their kids, they generally know how to wield the social networking carrot and stick within the home in order to elicit desired behaviors. Additionally, 29 percent of all parents ban the use of mobile phones and texting while at the table. That number goes up to 36 percent for parents of teenagers. That figure is actually lower than we expected though -- perhaps many teenagers know that if they don't overdo it, they can get away with a text every so often. Still, many parents see the value in trying to "friend" their kids on social networks, even though it might be a bit awkward at times. According to Retrevo, most parents who are Facebook friends with their kids have teenagers -- only 8 percent of parents said kids under 12 should have Facebook accounts in the first place -- and they say that they learn a lot about their teens this way. This, of course, is part of the reason why 52 percent of teens don't friend their parents on Facebook, but let me give those teenagers a tip: you can make your parents happy by friending them, and make liberal use of Facebook's privacy controls. Win-win!